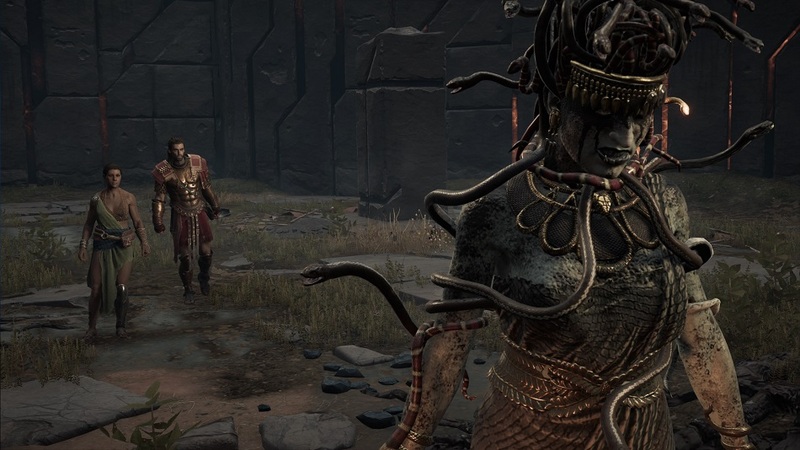 The playable mission of the day involved helping a woman rescue her lover from Medusa… yes, that Medusa. This was a huge departure from previous entries where the “weirder” targets have traditionally been (until now) relegated to extraneous DLC, limited time events, or dream sequences. It’s certainly a change of pace to have access to abilities such as the infamous Spartan kick that can send bodies flying ridiculous distances or a ground smash that radiates a shockwave to knock back enemies. Just as jarring is fighting a giant snake woman in a series that has largely stayed away from pure fantasy. 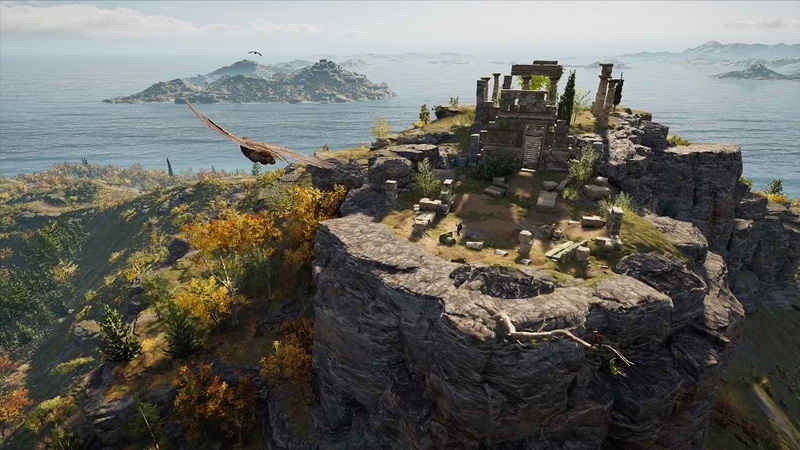 However, there appears to be a good reason for this turn — although it’s too early to say definitively, Odyssey seems like it might actually push the overarching Assassin’s Creed metanarrative forward. 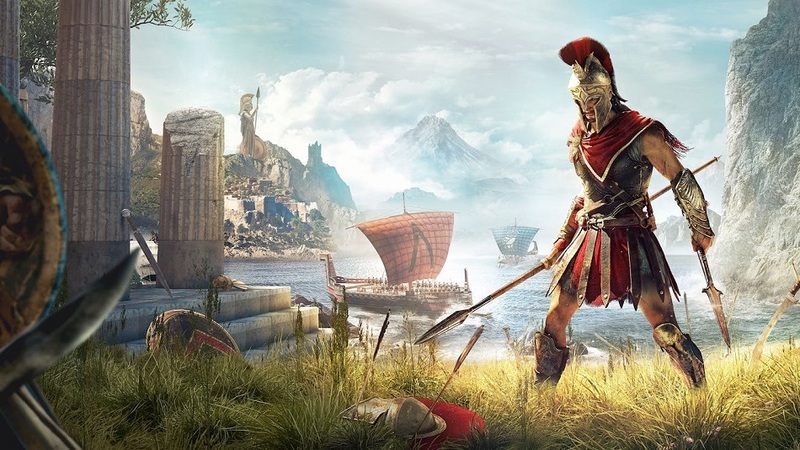 The First Civilization has been teased ever since the original Assassin’s Creed in 2007, yet in the ten mainline games since the series began, it’s been little more than a MacGuffin. The bits I saw in Odyssey, however, suggest that this flimsy narrative excuse will finally be playing a central role. Medusa’s Temple appears to be a relic of an advanced age, a Piece of Eden drops from the lady herself once she’s defeated, and the supernatural powers of the protagonist suggest that after all this time, longtime fans might finally get some big questions answered. While hearing about these more fantastical elements might alarm some fans, don’t worry — the story is still tied into the historical revisionism the franchise is known for. However, the plot-within-a-plot conflict between the Templars and Assassins has always been the worst part of AC due to the fact that it’s had so little direction and advancement. Hopefully this break from a stricter reality will be the opportunity that’s been needed to let Assassin’s Creed as a series move on. Of course, please keep in mind that this is all speculation on my part based on roughly two hours of gameplay. I have no idea how much will actually be revealed, or if any steps at all will be taken to close to some of AC‘s long-running loose ends when the full game releases in October, but Ubisoft has now given us a reason to actually care about the First Civilization and that’s a lot more than they’ve done so far.